Pieniny National Park extends northwards from Stará Ľubovňa. 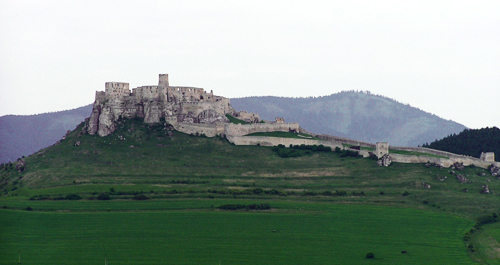 It is situated in northern Slovakia next to the Polish borders; Kežmarok District extends to its territory. Tourist information centers of Pieninny Mountains are situated in Stará Ľubovňa and Červený Kláštor. 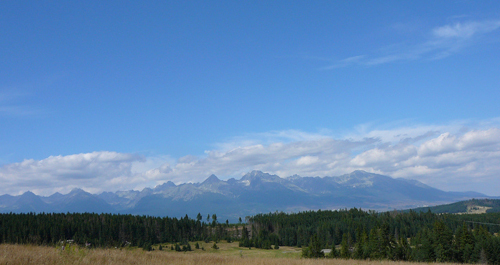 The vegetation of Pieniny Mountains is mainly represented by coniferous trees. Despite Pieniny is the smallest national park in Slovakia, its wild nature, ideal for mountain hiking, cycling and rafting, offers diverse and the most stunning sceneries. 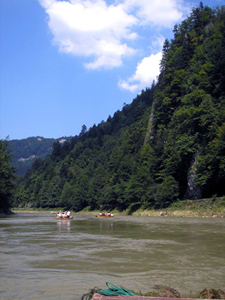 There is a Dunajec River valley 8.5 km (5.3 mi) long meandering through the Pieniny Mountains in Slovakia. 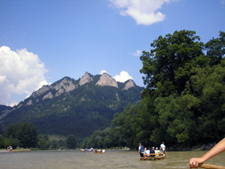 The Dunajec River can be floated on wooden rafts, raft boats or canoes. The raft route starts in Červený Kameň and finishes in Lesnica. You will get back by bus, walking or you can rent a bicycle. Canyon hollowed by the Dunajec River represents especially in summer the most beautiful part of Pieniny National Park. The Canyon hollow start on 1 April till 31 October. There is a tourist pathway meandering along the river stream. The nature truly has had its fling – quiet mountains alternate with dramatic tourist bridges leading above the river attract many visitors during summer holidays in Slovakia. 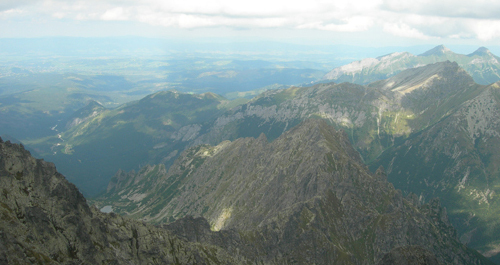 The most famous mountain is Tri koruny (Three crowns). There are some marked learning pathways available. The most famous pathway in Pieniny Mountains leads just along the Dunajec River. 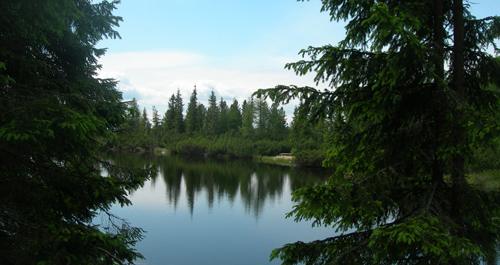 As the water route, the tourist pathway starts in Červený Kláštor and finishes in Lesnica. Zamagurie region is the smallest tourist resort in northern Slovakia, the most attractive part of it is village Červený Kláštor characteristic by rich folk and popular traditions. Visitors can visit a monastery housing the Ethnographic Museum - an important architectonic monument in Slovakia. Monk Cyprian who used to live there compiled a precious herbal that even today forms part of the Museum’s exhibition.